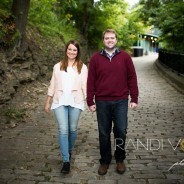 Katie and Dave have been together for a long time, so they knew they didn’t want a long engagement. One of the things they did to save on time was decide to have their wedding at Katie’s parent’s lake house. While it started out as a simple wedding in her parent’s backyard, the wedding quickly outgrew the status of “backyard wedding” and beyond! Katie and her mom did all of the planning and coordinating for the catering, tent, lighting, linens, photographer, videographer, string quartet, entertainment, and more. Since Katie’s parents don’t live at Lake Latonka full time, their friends and neighbors stopped by daily to check on the house, water the plants, and prepare the site for weeks leading up to the wedding. Even all of their truly excellent planning couldn’t prepare for some unexpected work. In this case, Dave along with Katie’s father and brothers spent the days before the wedding building a floor inside of the giant tent due to some very soggy soil. I was so impressed with all of the hard work. Katie and Dave have so many people who love them! Katie and Dave shared a First Look on the tiny island in Lake Latonka where they would later exchange vows. 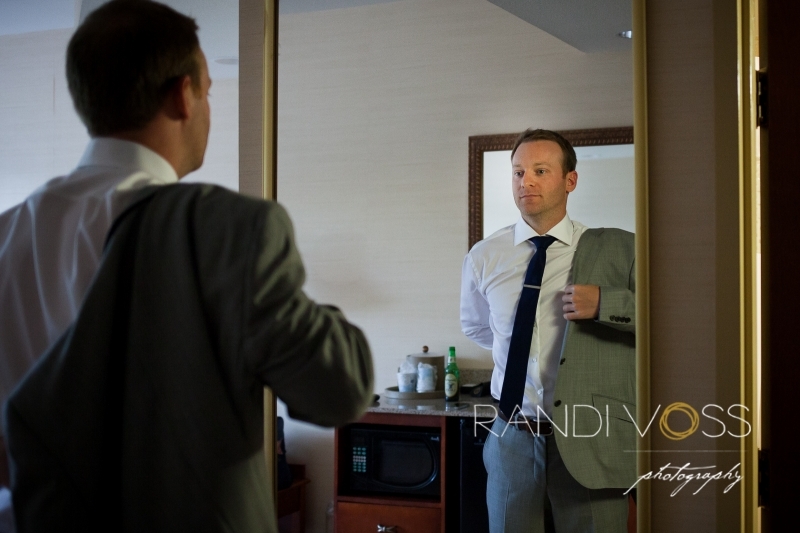 In order to spend as much time enjoying their wedding as possible, we took most of their bridal and family portraits prior to the ceremony. Together with their guests, they enjoyed the beautiful evening with a nice, long cocktail hour by the lake and a reception in the tent. Many, many people were dedicated to making this wedding a success. Some of the wedding professionals included Three Rivers String Quartet, Keith from Party Time Productions, Posh Salon, and Fine Line Weddings. A job well done by all. Many thanks to Jenny for her excellent photos and assisting. All images © 2012 Randi Voss Photography | Randi Voss is a Professional Wedding & Portrait Photographer based in Pittsburgh, Pennsylvania | (412) 200-5617 | Website design by Creme Fraiche Designs|ProPhoto Photography Blogsite by NetRivet, Inc.